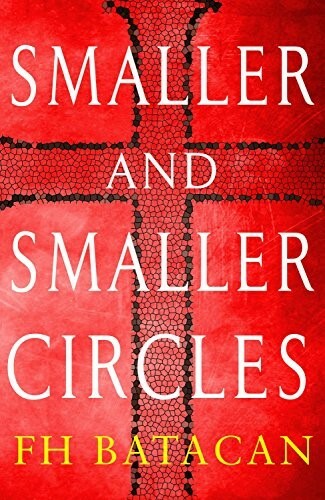 If you’ve been searching the Internet for your next great read, why not consider a novel about your motherland? The Philippines has a rich culture and history and one way to learn about it is by reading written works of art by fellow Pinoys. We recommend these 7 Filipino novels – read on to know more about them. 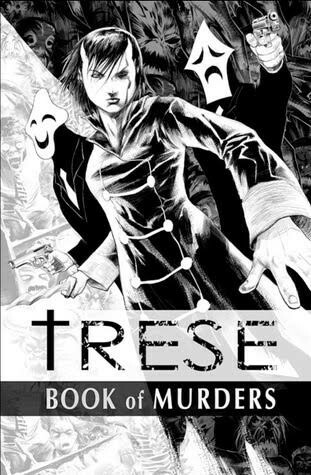 Trese is a treat especially for comic book lovers. This graphic novel follows the story of detective Alexandra Trese whose cases are riddled by the supernatural (e.g. Aswang, Kapre). You’ll definitely learn a thing or two about Filipino folklore through this series. This horror/thriller story will surely keep you on the edge of your seat. If you’re already hooked, here’s another good news: an animated series adaptation of this book will be aired on Netflix this coming 2019. This book was published more than a decade ago, yet its plot, the murders of poor people, is something we hear on the news regularly. Two Jesuit priests try to uncover the mystery behind the killings in the slum areas of Payatas. While doing so, they came face-to-face with corruption in the government. If you can’t get enough of the story, you might want to watch the film adaptation released a year ago. 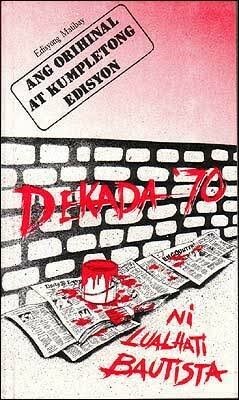 As its title suggests, Dekada ’70 was set during martial law in the 70s, the dark chapter in Philippine history. It tells the story of the Bartolome family and how martial law changed their lives. To add to that, the author herself has experienced the atrocities of martial law. 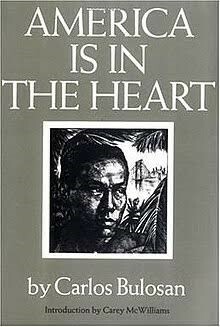 This semi-autobiographical novel shows the struggles of Bulosan when he migrated to the USA. He recounted how he and other Fil-Ams endured prejudice and discrimination during the 1930s, when people were less open-minded about racial differences. While this book encourages everyone to be more culturally sensitive, it also touches the hearts of Filipinos who are living in foreign lands. Set in the 1940s, this book tells a true story of a girl who spent her childhood during World War II. She recounts how they would hide from falling bombs, how she feared the Japanese soldiers, and how Manila became such a wreck that they had to move out. 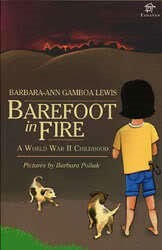 This book shows the war from an innocent child’s perspective, and how it changed the lives of countless people from different walks of life. Yet another good read from award-winning author Lualhati Bautista. 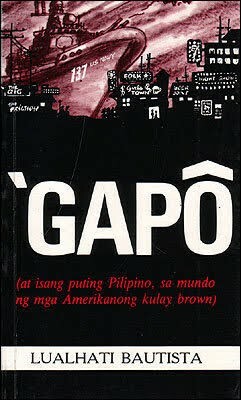 Gapô is short for its complete title which is Gapô (at isang puting Pilipino, sa mundo ng mga Amerikanong kulay brown). The book is set in Olongapo, where an American Naval Base stood. 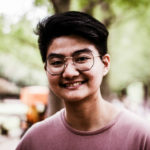 Through the characters in the book, readers will realize that although the base has been closed, the American influence or colonial mentality is still rampant among Filipinos. Kikomachine Comics is, well, not a novel but a comic relief for those wanting a light-hearted read. The book is a comic strip compilation by Manix Abrera from The Philippine Daily Inquirer. College students and yuppies will have an easy time relating to the mishaps and bloopers of a group of university students.